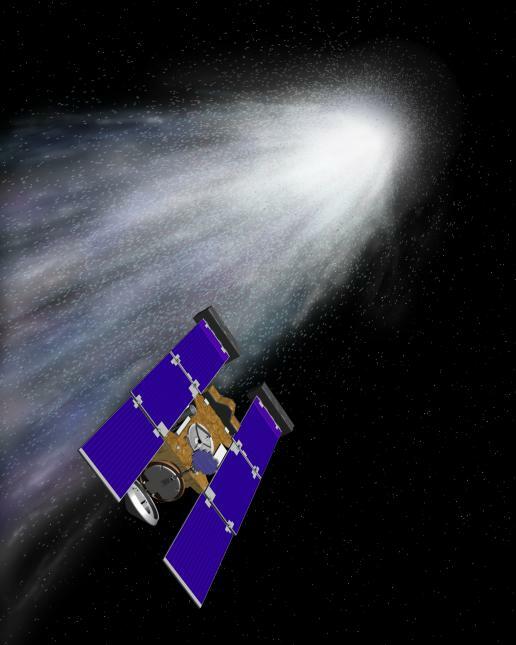 The Stardust sample return mission to Comet Wild 2 is launched. The 30th Lunar and Planetary Science Conference is held at the JSC Gilruth Center with 1082 in attendance. 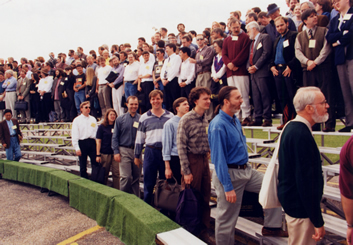 In celebration of the 30th anniversary of the conference, a panoramic group photo is taken of the attendees. The Workshop on Thermal Emission Spectroscopy and Analysis of Dust, Disks, and Regoliths is held at the LPI. The purpose of the workshop is to provide a venue where laboratory and telescopic spectroscopists and theoreticians specializing in thermal emission from dusts, grains, and regoliths can meet and exchange state-of-the-art results critical to the exploration of the physical and chemical nature of thermally emitting solids in the solar system, the galaxy, and beyond. LPI releases the ALTA Reflectance Spectrometer® and classroom lesson package. 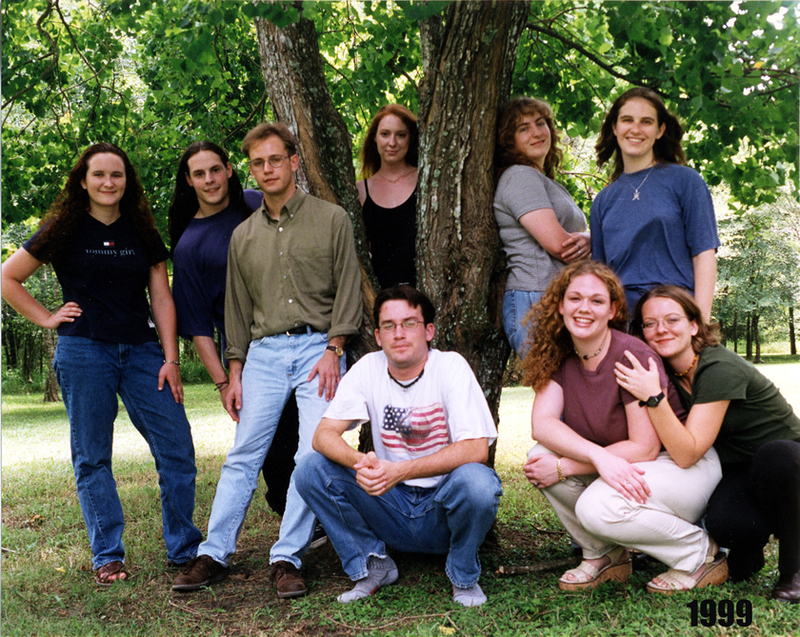 The spectrometer is a classroom instrument designed by Dr. Allan Treiman to allow students (grade 5 through adult) to learn about visible light, invisible light, the origins of color, and the value of reflection spectroscopy of light in remote sensing applications. 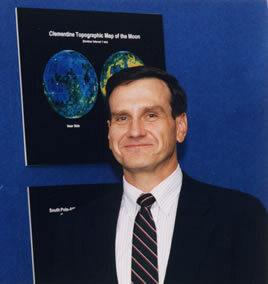 Dr. Paul D. Spudis is appointed Deputy Director of the LPI. Workshop on New Views of the Moon II: Understanding the Moon through the Integration of Diverse Datasets is held in Flagstaff, Arizona. The focus of the workshop is to combine remote sensing, geophysical, and sample approaches to address key problems of lunar science and exploration. 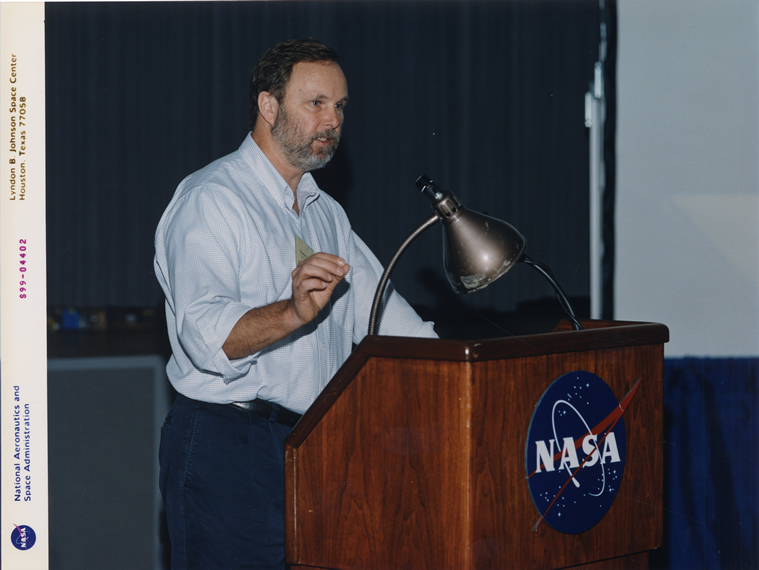 The workshop on Mars 2001: Integrated Science in Preparation for Sample Return and Human Exploration is held at the LPI. 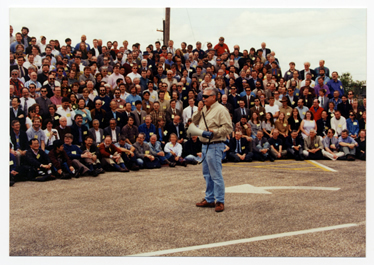 The purpose of the workshop is to provide a colloquium-type environment intended to increase awareness of the 2001 mission’s goals and potential, and includes discussion of downselecting a landing site for the mission.